hd00:23roasted pork on barbecue grill. hd00:08Squid, octopus, cuttlefish is preparing on grill, close up. Turning the octopus on the grill. 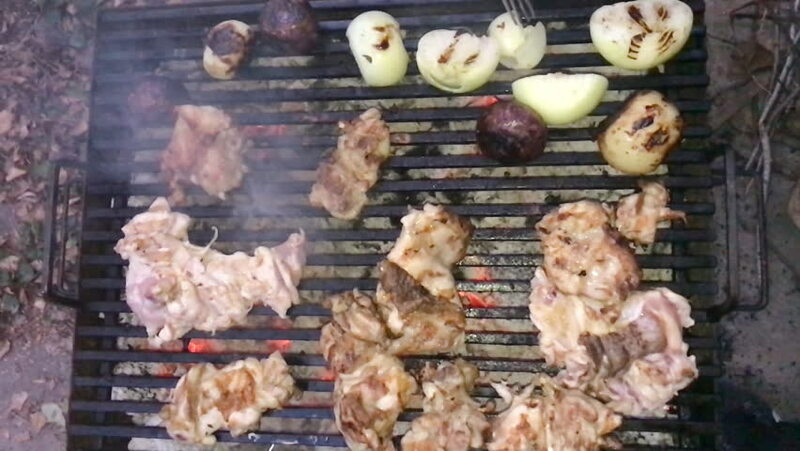 Octopus meat roasted on barbecue. Fried seafood on the grill. Street food festival.